During the summer in Phoenix, everyone wants a cool place to go. One favorite local way to beat the heat is catching affordable summer movies in nicely cooled theaters weekday mornings. The best deal is if you buy the summer-long pass, but even if you're just passing through, the admission cost of $1 or $2 is a great offer. 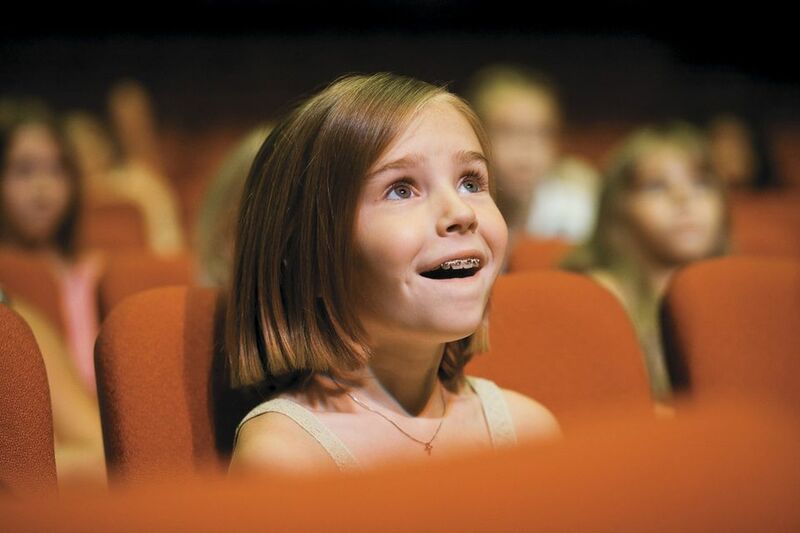 Every year, Harkins, which owns and operates many of the movie screens in the Phoenix area, offers a summer movie program for children, where kids can enjoy a movie a week for 10 weeks for less than $1 per film. Harkins screens some of Hollywood's best family films to keep kids entertained and cool during the summer. Typically, these movies are rated G or PG and are already on DVD or close to being released on DVD. The move selection changes each year and all the movies are shown at 9:45 a.m.
Movies are intended for children 13 and under. Children need an adult to attend with them. Adults are permitted only when accompanied by a child. Children 2 and under do not need a ticket but may be required to sit on your lap if there is limited seating available. Buy a ticket for the little ones if you want to be guaranteed that they can have their own seat. Choose your day, choose your theater, and buy your tickets at the theater, not online and not by phone. All the movies are purchased as a set; they must be for the same movie theater and same day of the week. Tickets often sell out early, so don't assume you can wait to buy your summer movie package. If ticket packages have not sold out, there may be tickets at some theaters at the box office later in the summer season on a first-come, first-served basis on the morning of the movie for $2 each. If that theater has sold out its ticket packages, no individual tickets will be sold. The concession stand will also offer a "Harkins Kids' Combo" for $5.50 which includes popcorn, fruit snacks, and a drink. The UltraStar Multi-​Tainment Center at Ak-Chin Circle offers an annual Summer Kids' Movie Series. Typically, these movies are rated G or PG and are already on DVD or close to being released on DVD. They are all presented in 2D format. When bought as a package, each movie costs 50 cents, airing every weekday in the morning. To purchase a movie series pass, select the day of the week that you would like to attend for the one-time ticket price of $5. Each week, you return on the same day to see all 10 weeks of films. Tickets for individual days (not preselected in advance) can be purchased at the door for $1 each, if available. The 2018 movies for the UltraStar Multi-Tainment Center at Ak-Chin Circle are the same as the Hawkins theaters. The UltraStar Multi-Tainment Center features movies, bowling, dining, live music, laser tag, arcade gaming, a "Gamer Cave," and corporate as well as private event facilities. In 2012, the Ak-Chin Indian Community of the Maricopa Indian Reservation, a federally recognized tribe and Native American community located in the Santa Cruz Valley, opened the $50 million, 165,000-square-foot entertainment complex.